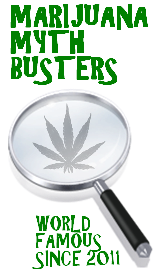 This entry was posted by Mythbuster on September 17, 2011 at 9:11 pm, and is filed under Marijuana Myths. Follow any responses to this post through RSS 2.0.You can leave a response or trackback from your own site. This is one of the biggest aemugrnts that those who do not agree with the legalization of marijuana have. The inability to properly test users. Marijuana can remain in your system for upwards of one month, longer for habitual users. How does one determine if a users is “high” while on the job? The answer is they can’t. The cops can administer a test that will prove whether or not the user has used marijuana in the last three months or so, but its not possible to prove whether or not they are presently under it’s influence. Most users can perform quite normally under the influence, so even a “sobriety” test would be useless. Every stoner’s Catch 420, I mean Catch 22!